Ask fellow campers about "Antelope Valley RV Park" and nearby attractions. 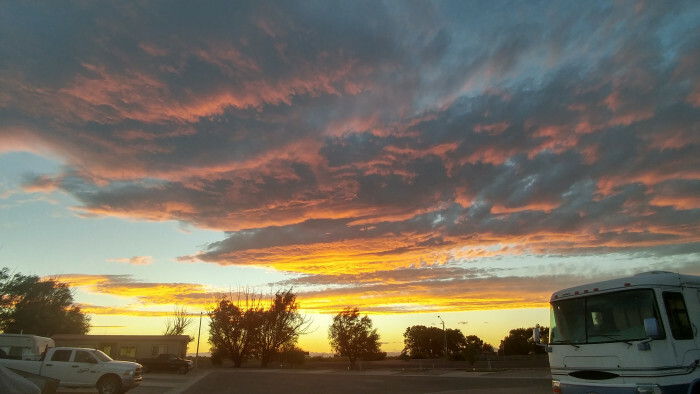 After visiting the Topaz Japanese Internment Camp Museum, in the small town of Delta, Utah, we needed a CG to spend the night, Antelope Valley RV Park, with its full-serviced, moderately priced, and well-spaced sites provided us with a safe and convenient place to stay. 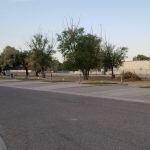 The RV park is set on the edge of town, has several dozen sites (about 1/3 are permanent residents), wide interior roads, and a surprising number of shaded and semi-shaded sites. Our back-in site was set on the far outer ring at the rear of the park, was spacious and had a row of tall trees that separated it from adjacent farmland. Free wifi worked ok. The park was about 20% occupied, so we enjoyed a quiet evening visiting our campsite. If available, request a site at the rear of the park, where nearby highway and train noise is minimal. The park has a friendly and informative on-site manager. If traveling through the area. We will definitely stay again. 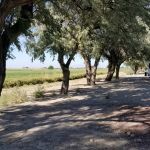 We camped at Antelope Valley RV Park in a Travel Trailer. A visit to the Topaz Japanese Internment Camp Museum in downtown Delta, UT, is well worth your time. We stayed here for an overnight, as we crossed Utah on Route 50. We were able to get a pull-thru, since we did not want to unhook our towed. Dirt, some concrete and grass. Asphalt roadways. The office staff was very nice and helpful. The wind was whipping, so we just stayed inside the RV and relaxed. All was good, until we went to bed around 11 pm and our neighbor, 2 spaces down (in a park model on space 59) kept coming outside and talking loudly. Our neighbors did this about 3 times throughout the night, they were loud enough to wake us up each time. Not a restful night! They were even louder than the road noise from Route 50. We camped at Antelope Valley RV Park in a Motorhome. We got in late, pull thru was fine, park was pretty empty. Train ran about 60' from us and road was about 50' on the other side. Park host was nice, park was clean, worked for overnight stay. We camped at Antelope Valley RV Park in a Fifth Wheel. Not much to do in this town. Does have grocery store and hardware store. Stopped here on our way out west. Friendly staff and clean park. As others have said, hookups are at the back of the site, but not too inconvenient. Very few rigs here in the off season. We would return if in the area. We camped at Antelope Valley RV Park in a Motorhome. As other reviewer mentioned, you can order pizza from Lotsa-Motsa. Ours took a very long time to get to our site, and pizza was only so-so. If you are heading west on US-50, be sure to fuel up in town. The gas station across the street worked well for us, and the pumps were left on, even though the station was closed on a Sunday morning. Very clean park layed out in a triangle shape. Streets are paved & sites are gravel. Most sites are back in, but there are 5-6 pull thrus for overnighters. All back in sites have a concrete pad for a patio or parking space. 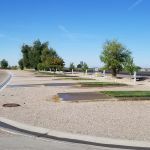 As previous reviewers have mentioned, the water connections are located in the RV parking area. 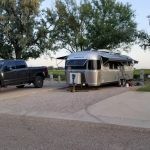 There is sufficient room for the rv between the concrete pad & the water connection. Wifi worked well. Laundry has 2 washers & 2 dryers. Cost is $1.00 to wash & $1.00 to dry. No cable tv, but we received all network channels in HD with antenna pointed to 75*. Park hosts are very friendly & helpful. We will definitely stay here again when in this area. Rate reflects Coast to Coast discount. We camped at Antelope Valley RV Park in a Fifth Wheel. A nice park, backs up to ag fields. Fronts on US50. Pleasant,helpful staff. Some train horn noise at night but not too bad. For some reason the water connections are mostly in the rv parking area rather than to the side. This means one has to be very careful when backing into the site and to use the whole width the connections may under or nearly under the rig. Also the septic connections are mostly a few inches above the ground so the last few feet of hose may slope upward. Having said that, the park is clean, convenient and a good stop. We camped at Antelope Valley RV Park in a Fifth Wheel. Lots Motsa pizza advertised in the campground handout offers very good and inexpensive pizza delivered to the park. This RV Park sits right on Hwy 50 and is easy to get in and out of and there isn't much highway noise. They have pull-thru spaces, however, they all sit in the sun with no shade trees. They have several back-in spaces which do have shade trees. The owners/managers are right on the property and are very helpful. Spaces are mostly level pads and the road in is asphalt. Wi-Fi is not the greatest. Town has several restaurants and stores. 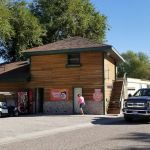 We have stayed here a few times in our 37' motor home and would recommend it for anyone passing through as a good overnight stop. We stayed in the back-in this time for the shade as it was quite hot. We stayed in a pull-thru another time and it was plenty long for our whole rig. We camped at Antelope Valley RV Park in a Motorhome. Very clean park. Green Grass square for each site. Gravel RV parking. Concrete pad for your car. We stayed one night, but would stay longer. 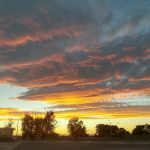 We camped at Antelope Valley RV Park in a Motorhome. Delta is on our way to the Great Basin National Park, and is on the "loneliest highway" but.... the park is really kept up very nice! Good hook-ups, although the water spigot is in a weird spot. The grounds are well manicured and the staff are friendly and helpful! We had a back site that we were able to pick that backed up to an alfalfa field. Road noise never bothered us and the trains in the distance were a pleasure. 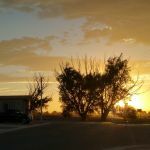 We camped at Antelope Valley RV Park in a Fifth Wheel. Topaz museum in town was very impressive. If you​ have time AFTER you visit the museum drive the 15 miles to the actual Topaz Internment Camp. Very nice place to spend a night. Very nice lady at desk. We were on the outside loop with a green field behind us. Pleasant place to sit. Could hear trains, but not too bad. Wi-fi was pretty good. No cable but TV antenna reception was very good. We would come back. We camped at Antelope Valley RV Park in a Motorhome. This park is directly on a busy highway with a lot of large truck traffic so highway noise was significant. Sites and roads are level gravel with mature trees and well-kept grassy areas at some sites and behind a lot of the back-in sites. Concrete pads and utility locations make many sites narrow and awkward. Basic utilities were good but wi-fi was very slow. AT&T phone and data worked adequately. We camped at Antelope Valley RV Park in a Fifth Wheel. Great Basin and Topaz Museums were both worthwhile to visit. Water hookup is in a different location towards the middle of site, so watch that closely. 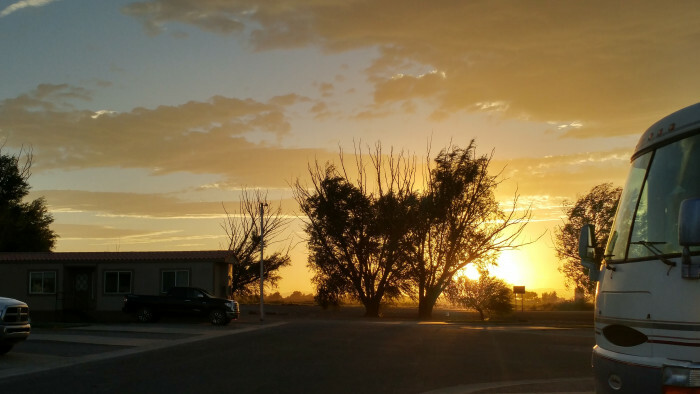 We camped at Antelope Valley RV Park in a Travel Trailer. Do not miss the new Topaz museum in Delta. Tells the history of Japanese internment camp near Delta. Also go to the Great Basin museum. Both free. Stayed as C2C members - no extra charges. Camp hosts were attentive and very nice. We stayed for 7 nights. This is a pretty basic campground. The sites were nice and level and had a sort of concrete driveway, with a little patch of grass and then a gravel spot for the picnic table. 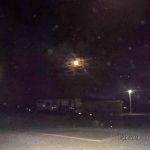 Some of the sites circled around a large grassy area that was nice and green. The hookups, though, were in the middle of the spot, so you couldn't really take advantage of the whole site. There was no camp store, no lounge, no pool, no activities. Just a place to park your rig. 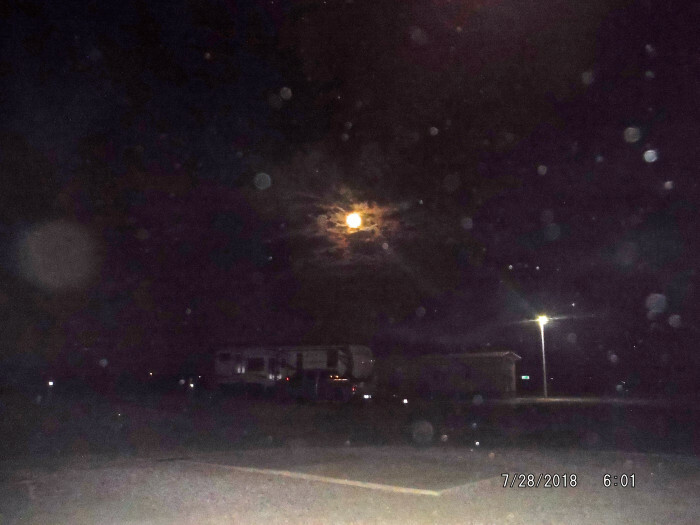 It is just outside of Delta, UT. Nice little city, but not much for restaurants or shopping. Campground is right on the highway and in a very agricultural area, so lots of wind and dust. If you are a rockhound, this is a good place to be, otherwise, there is not much to do in the immediate area. Would stay overnight if needed. We camped at Antelope Valley RV Park in a Motorhome. This is near the Topaz Internment camp and they have a new museum in Delta paying tribute to this piece of our history--worth going to. They have a nice city park and then a nice fairgrounds with picnic areas. As previously stated, wind was blowing from the south at 14mph. But there was a storm passing thru from the south. We were in a pull thru spot that to me is weird. You pull in and if you are long enough, your front wheels will be on concrete and your back on gravel. Park very clean with almost no one in it during our stay. Don't know how it is in the summer. Has free WiFi but very slow. Ended up using our smart phone for faster service. But, hey, free, right? Would stay here again when passing thru. 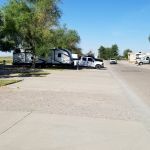 We camped at Antelope Valley RV Park in a Motorhome. Two local grocery stores in town. Excellent ACE Hardware. Topaz Internment Camp Museum is open, just north of Delta. Great Basin National Park and Lehmann Caves are 100 miles west on "The Loneliest Road in America", worth a day trip. Least expensive fuel in Delta was the Sinclair directly across the highway from the CG. Town of Delta was small but friendly people in the businesses we frequented. Ace Hardware is very nice and is stocked with RV supplies. If you have a car...the U-Dig-it Trilobyte site is fun and guaranteed productive. Bad road for RV's...ask me how I know : ) Mexican restaurant across the street from the (very good) grocery store is awesome & you can park the rig in the grocery lot. Are you affiliated with Antelope Valley RV Park ?